MILL VALLEY, California, June 17, 2011 (ENS) – The third annual SolarDay, an international day of awareness celebrating solar energy and energy independence, will be held in the United States, Canada and the UK on Saturday with events by cities, non-profits, companies and the solar industry. Lawmakers representing California such as U.S. Senator Dianne Feinstein and Congresswoman Doris Matsui are supporting SolarDay with letters on the SolarDay website to encourage public participation and awareness of how solar energy can reduce monthly energy bills, while providing jobs. It may be coincidental, but this morning the official groundbreaking for Solar Trust of America’s giant Blythe Solar Power Project took place near the small town of Blythe, California. “Just the first phase of this project will put about 1,000 people to work out here in Blythe during construction and will create more than 200 permanent jobs. The second phase is expected to do the same. These are big numbers for the Blythe community,” Salazar wrote. 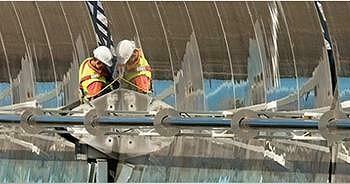 Located eight miles west of Blythe in Riverside County, the concentrating solar thermal power plant project uses parabolic trough technology. 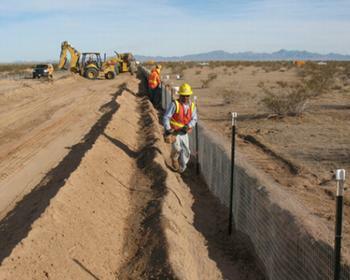 It includes an eight-mile transmission line to deliver the power to Blythe. The U.S. Energy Department has extended a $2.1 billion loan guarantee to support Units 1 and 2 of the Blythe project. These two units represent the first phase of the 1,000 megawatt project that, when completed, will generate enough electricity to power at least 300,000 homes. Brown also visited five other solar projects including: First Solar’s Desert Sunlight, Solar Millenium’s Palen Solar Power Project, NextEra’s Genesis facility, Solar Reserve’s Rice Airfield Project and Abengoa’s Mojave Solar Project. In addition to the Blythe project, Solar Trust of America currently has 2,000 megawatts of solar energy power plants in advanced stages of development California and Nevada. On SolarDay in hot and sunny Mesa, Arizona, city officials will open Mesa’s first solar installation, a 70 kilowatt dual tracking concentrated photovoltaic system, designed to supply power to Red Mountain Park. The city’s public access television channel will tape the event, which will also will be shown online. Manufactured and installed by SolFocus, the PV array will supply nearly 80 percent of the annual energy needs for the park’s four softball fields. In Phoenix, Arizona, an event at City Hall called “Show Me Your Solar” encourages homeowners and business owners to learn more about solar energy and protection of the planet. 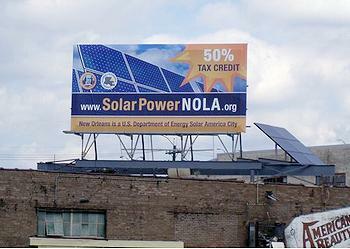 In New Orleans, solar contractors and environmental non-profit organizations will share information about the benefits of solar power and how to obtain it in front of the Whole Foods Market at 5600 Magazine St. A self-guided Solar Home Tour is offered that allows visitors to view installed solar systems up close and talk to the owners about their solar experiences. Both events are sponsored by the Gulf States Renewable Energy Industries Association. Click here to find out more. SolarDay began in 2009 with one event, a bio-diesel bus tour of solar homes and businesses hosted by the City of San Francisco. By 2010, SolarDay featured events hosted by cities and the solar industry in 26 U.S. cities, and several cities issued proclamations declaring an Official SolarDay for their events. The U.S. solar energy industry continued to be one of the fastest growing sectors of the economy in the first quarter of 2011 according to the U.S. 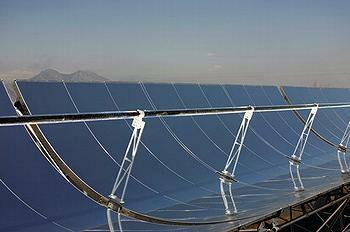 Solar Market Insight: Q1 2011 released Thursday by the Solar Energy Industries Association and GTM Research. In total, cumulative grid-connected solar electric installations have reached more than 2.85 gigawatts, enough to power nearly 600,000 U.S. homes. In the first quarter of 2011, the United States installed 252 megawatts of grid-connected photovoltaics or 66 percent year-over-year growth over Q1 2010 installations. Two major factors drove this growth: falling solar energy equipment costs and a rush to take advantage of the Section 1603 Treasury program that was expected to expire in 2010. The program has been extended through the end of 2011. All three PV market sectors – residential, commercial and utility – continued to grow, with commercial installations showing the strongest gains. “On the whole, the U.S. is currently the PV industry’s most attractive and stable growth market,” said Shayle Kann, managing director of Solar at GTM Research.